Reliance Investm ent Management is a full service Financial & Investment Management Firm. 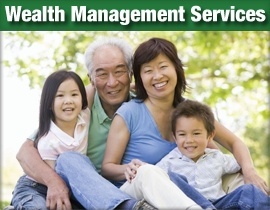 We develop customized goal based financial plans & customized portfolios unique to each client. As a Registered Investment Advisory Firm, Reliance Investment Management has a fiduciary duty to represent our clients interest only in all investment decisions. We will not accept any fees or commissions from Brokers, Banks, Insurance Companies or Mutual Funds. This assures you our client’s, that our Investment Management & Financial Advice will not be influenced by Wall Street Brokerage Firms, Banks, Insurance Companies, Mutual Funds and their commissions paid to Financial Advisors who work for them. We are Independent - We will work only for you. This you can count on. We design and manage customized portfolio’s for each client unique situation. We accomplish this by first determining each client’s financial condition and their investment objectives. Next, we use powerful risk assessment software to determine a risk tolerance profile for each of our clients. This process will serve as the foundation for designing each portfolio. We will set up for each client what is called Separately Managed Account. This account will be used to manage your portfolio of securities selected for your account based on your investment objectives, risk tolerance and our professional expertise. We prefer to use a value investment approach as history shows that buying asset classes out of favor at excellent values and then selling the asset when it returns to favor is the time proven strategic approach for generating superior returns with less risk, volatility and tax effect. 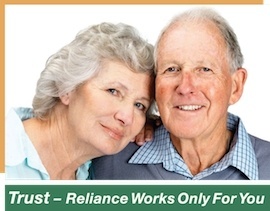 At Reliance we will never have custody of our client's funds or portfolio's. All portfolio’s will be maintained in our clients name at Interactive Brokers. Or alternatively, we can work out an arrangement with clients to maintain their portfolio with their current brokerage. Instead of being compensated by commissions from Brokerage Firms, Banks, Insurance Agencies and Mutual Funds, Reliance Investment Management receives only an annual management fee that is based on the % of a portfolio value This ensures that all Investment decisions represents only your interests. We can usually offset a majority of the fee we charge for managing your portfolio with superior investment selections. Many investors do not realize that they are paying significant amounts in annual fees to Mutual Fund Mangers. These fees can range from 1.2% – 2.% when you add up the Management Fee, 12b(1) fees and administrative fees. And we will never send clients to commission loaded investment products that can charge commissions as high as 5%. By using low cost, more transparent and more effective Investments such as ETF’s or select securities and mutual funds we can develop a professionally managed portfolio that is tailored to your Investment objectives and risk tolerance at a savings that can pay most of our annual management fee (typically 1.0% – 1.2% of the portfolio value). For more information or if you have any questions then please contact us today. We would be happy to meet with you at no charge to discuss your expectations and our ability to fulfill them.